I had some very sweet watermelon at home and I was thinking what to make with it. I had made watermelon mousse some time back and it is tasted very good. 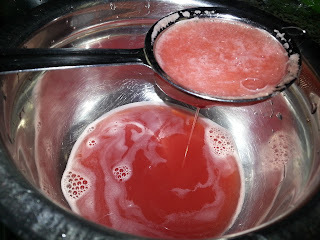 With the recent success with preparing jelly using fruit juices I thought why not make a fresh watermelon juice jelly. I then thought why not make both the mousse and the jelly and set it together to form a single dessert. I just named it Moully when I started typing this post. How is the name? Mousse + Jelly. Depending on how you want to serve it prepare the mousse or the jelly first. 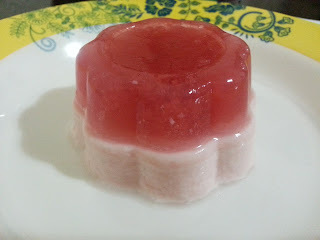 I decided to set it in my dessert moulds so I made the jelly first as the jelly has to be on the top. If you want to serve it as is in a serving cup or bowl then prepare the mousse first. The mousse needs to sit at the bottom and the jelly on top. I cannot think of it the other way round. you can however try. I used the recipes for the Apple and strawberry juice jelly and the mango mousse to prepare this. 1. Cut watermelon into pieces, remove and discard seeds. Blend it into a puree. Pass the juice through a mesh to extract juice and discard the fibre. 2. Measure 1 cup (250ml) of juice for the jelly and keep it ready to preapre jelly. 3. 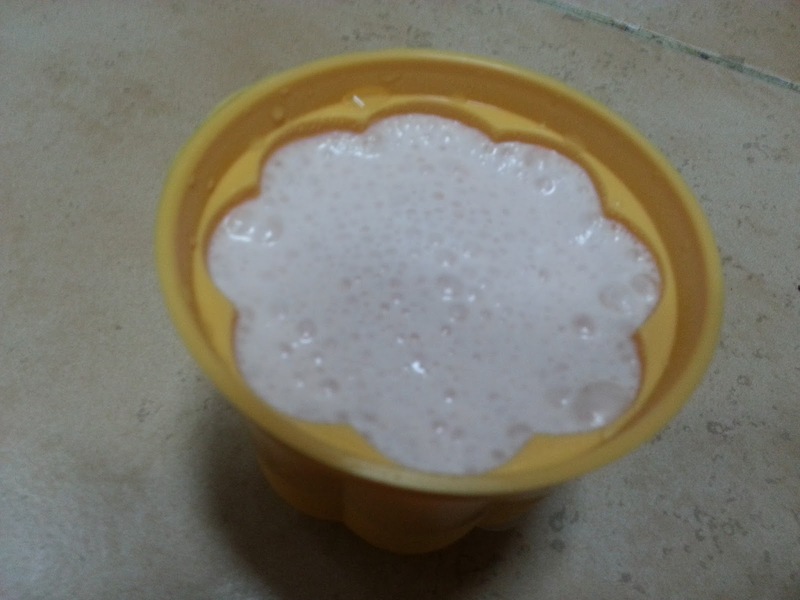 Measure 1/2 cup (125ml) of juice for the mousse and keep it in the refrigerator to be used later. 4. In a small bowl add 3 Tablespoons of very cold water. 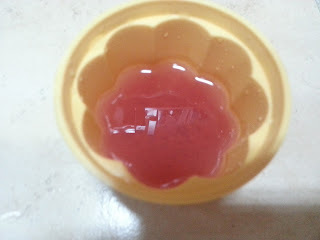 Sprinkle 1 1/2 Teaspoons of unflavoured gelatin powder on it and let it bloom for 5-10 minutes. 5. 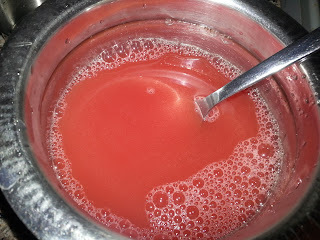 In a saucepan, add the 1 cup watermelon juice, 2 Tablespoons of sugar and mix well. 6. Place it on low heat and keep stirring till it is very hot. Do not let it boil. 7. Add the bloomed gelatin and mix well till it completely dissolves. Do not boil. 8. Let this cool down to room temperature. 9. Pour it into moulds and place in refrigerator to set for 3-4 hours. 10. Now prepare the mousse. 11. In a small bowl add 2 Tablespoons of very cold water. 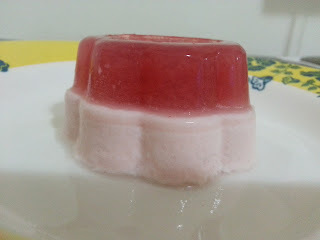 Sprinkle 1 Teaspoon of unflavoured gelatin powder on it and let it bloom for 5-10 minutes. 12. In a saucepan, add 1/2 cup watermelon juice, 1 1/2 Tablespoons of sugar, 1/2 Tablespoon lemon juice and mix well. 13. Place it on low heat and keep stirring till it is very hot. Do not let it boil. 14. 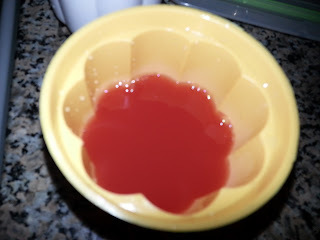 Add the bloomed gelatin and mix well till it completely dissolves. Do not boil. 15. Pour this in a bowl and keep the bowl in a bowl of ice bath. Ice bath is ice cubes in cold water. Make sure that the water from the ice bath does not enter the watermelon mix. 16. Keep stirring it regularly. 17. In a large mixing bowl take 1/2 cup cold whipping cream and whip it to stiff peaks. 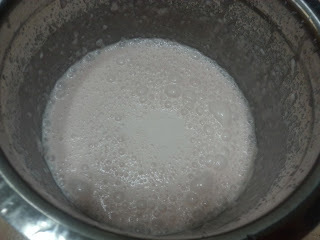 It is easier to achieve stiff peaks when the whipping cream is cold and the bowl and the whip used are also cold. You can place the bowl and the whip in the fridge or freezer to cool them. 18. Add the chilled watermelon mix to the whipped cream and whip it again just until combined. 19. Do not worry if it is a little watery as the watermelon mix was watery to start with. 20. 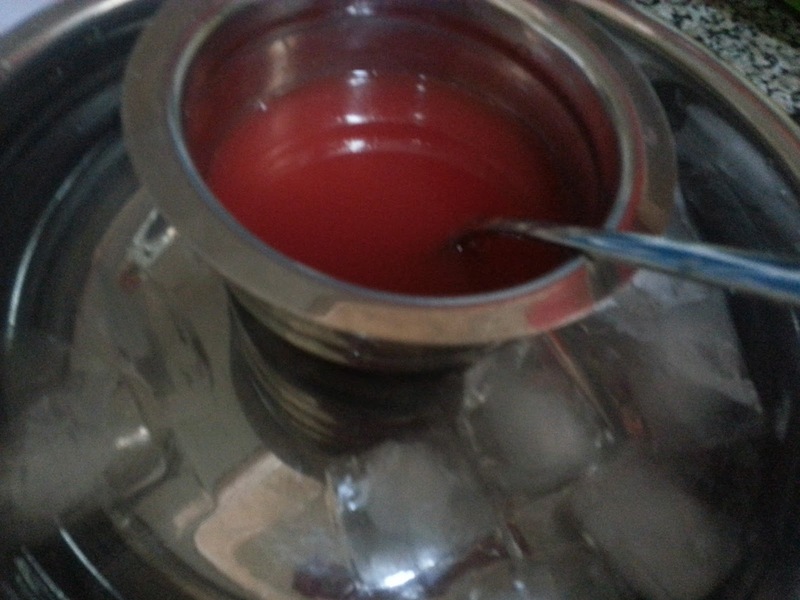 Pour this over the set watermelon jelly and refrigerate it again for 5-6 hours or until firmly set. 21. You can keep it in the freezer for about 20 minutes before serving to set it really firm. 22. When ready to serve, place the mould on a serving plate in room temperature and tap it after about 5 minutes to get it on the plate.